To date, most of the electricity producing bacteria have been found in the environment. However, in addition, the researchers also found more than 100 species of bacteria in the human microbiome, both pathogenic and probiotic. Their electrogenic ability can play an important role in infectivity, or in the way they create cheese and yogurt. Listeria bacteria transport electrons through their cellular walls to the environment in the form of a small current, assisted by ubiquitous molecules of yellow paint (see image). Scientists from the University of California, Berkeley found that the common diarrhea causing bacteria Listeria, produces electricity, using a completely different technique. 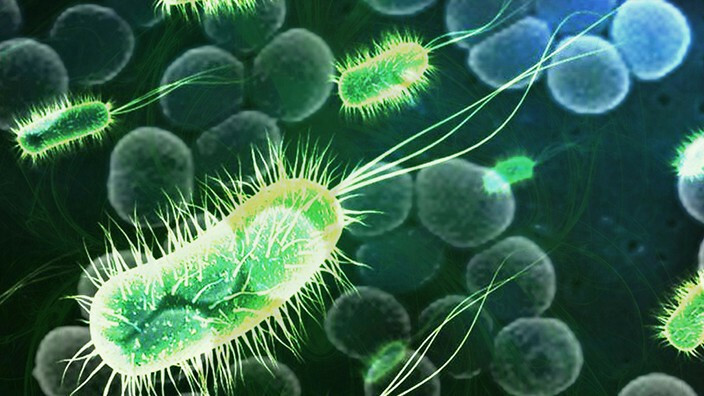 Many of the electrogenerating bacteria are part of the human microbiome. They can cause diseases of the digestive tract and nosocomial infections. “Knowing the properties of these bacteria, we can understand how these bacteria infect us or help us have a healthy digestive tract,” said Dan Portnoy, professor of molecular and cellular biology at Berkeley. In addition, such bacteria can help recycle waste in factories, as well as generate electricity.